The publishing house of the University of Nova Gorica has published a book by Austrian physicist, Nobel Prize winner Erwin Schrödinger (1887–1961) “War Diary: Šempeter pri Gorici, 1915” (in Slovene: Vojni dnevnik: Šempeter pri Gorici, 1915; Kriegstagebuch: St. Peter bei Görz, 1915). The editor of the publication is Matej Župančič. The book of the Austrian artillery officer Erwin Schrödinger was written in the summer of 1915. In the diary, the author critically discusses war and peace, and also analyses the problems of experimental psychology. 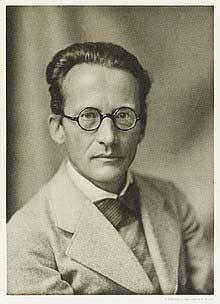 The book formulated the primary provisions of the wave theory, to which Erwin Schrödinger devoted his scientific activity. Thanks to this theory, Erwin Schrödinger became the most famous Austrian scientist of the 20th century, along with Sigmund Freud. In addition to the reprint of the original text, parallel translation into the Slovenian language and the publication of the manuscript, the diary contains editor’s comments and photographic materials. The book can be purchased at the publishing house of the University of Nova Gorica at: Vipavska 13, Rožna Dolina, Nova Gorica. Inquiries: ung.si; library@ung.si; 05 3315 220.